Hustler Publisher Larry Flynt says the Supreme Court’s decision to allow corporations to spend unlimited amounts in elections will pump up the power of big business fat cats to the detriment of democracy. The Supreme Court decision of January 21, 2010 ( Citizens United v. Federal Election Commission) allowing corporations to spend endless amounts of money influencing our elections will change America forever. The election process, already awash in money from the fat cats, will now be swamped by corporate propaganda favoring their chosen candidate. In comparison, contributions from the average citizen will be insignificant. The playing field has been inexorably tilted in favor of Big Business. Our democracy has never faced such peril. The playing field has been inexorably tilted in favor of Big Business. Unless something is done about this, the rich will be in control of our country from here on out. 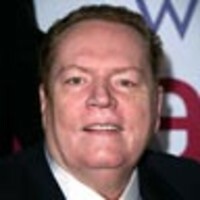 Larry Flynt is publisher of Hustler Magazine.